I'm sure we all remember Cameron's firetruck bed. Ever since Aaron finished it, he has been planning Maggie's bed. Maggie isn't obsessed with anything like Cameron is obsessed with firetrucks, so we figured we go a safe 'castle' theme. We wanted it to be as cool as Cameron's, but different. Aaron also wasn't to keen on his sweet baby girl sleeping up high like Cam, so the plan was a bed (I was pushing for a trundle bed) and then the playhouse part would be the top. He was going to build a curved staircase to the top on one side, and a slide down the other. Obviously, this would be a big undertaking of effort and time from Aaron, and an outlay of about $500 for materials. We've been dragging our feet, because we were first, hoping that Maggie would stay in her crib longer than Cam. But when she had the huge BIG girl month last month we realized that wasn't going to happen. We were just about to pull the trigger on buying the materials, when I saw a post on my Mother's of Twins list. Now, I go back and forth on this. Sometimes, it's hard for me to stay on this list. All the talk about twins, obviously. But in other ways, it's really just a mom's list - and with Cam and Maggie so close in age, I often have the same issues as twin mothers. 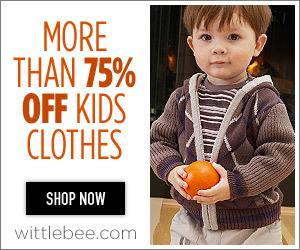 Plus, 90% of the email traffic is selling kid items. For super cheap. Yesterday, someone posted this bed. For $500. It is exactly the same bed that we were planning on building Maggie, yet better in a few ways - the biggest being that when you take off the fabric, it changes from a castle bed to a plain old loft bed. Take off the legs? It a normal twin bed. I jumped on it. And I know Aaron didn't want Maggie sleeping up high, but I can guarantee you, if Maggie was given a choice, she would want to. Of course, it's blue, and I was worried it wasn't girlie enough. But, Aaron got it all assembled today, and it looks awesome. One snag is that the woman I bought it from can't find the bottom playhouse fabric - and I think that is pretty key to the awesomeness. If she can't find it, I'll probably end up buying a replacement tent in purple. If she does find it, there will be some bedazzling going on, lol. I'm sooo jealous. Your kids have awesome beds. I will never show my girls pictures of your kids beds! I'd love for mine to have anything like that, just isn't happening now. That bed is soo awesome! I can't believe you found one that was exactly how you'd been imagining it. Cam's bed is super cool, too.